Time of Birth – Why is it important? 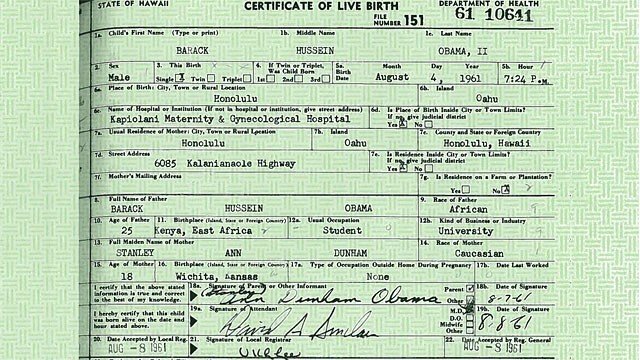 Yes, this is a picture of the most famous birth certificate on the planet: Barack Obama. The time of birth, coupled with birth location makes your horoscope different from someone else born on the same day, same year. When you supply the exact time of birth to an astrologer, it enables him/her to make highly accurate predictions, especially when forecasting good days to take action. If you do not have your time of birth, the astrologer casts a “solar chart”, which puts the Sun as rising on your birthday. This is similar to how astrologers write Sun sign columns: they use the rising sign (or ascendant) to dictate the energy of the day for each of the 12 signs. This works well for someone who was born at dawn, but for the majority of readers, it may make more sense when you know your Rising Sign/Ascendant and read the forecast for that sign. Depending on the expertise of the column’s author, this may seem more accurate than if you look at the forecast for your actual birthday. If you cannot get your time of birth, you can still have a profound session with an excellent astrologer. For instance, I’ve had clients born on islands where the time wasn’t recorded who have benefited from sessions. Timing may be a bit off and there may be some points that are not covered, yet there is such a wealth of information in the birthday alone that you will come away with insight. But if there is an official record of your birth time and you’d like to time events in your life with precision, it is worth the effort to get that accurate data. When I was a student of astrology I worked for years with a birth time that I had received from a spiritual channel. One morning I woke up and called the Department of Vital Statistics because I wanted the piece of paper to verify if the time I had been using was correct. When the letter came in the mail, I knew before I’d opened it that it was going to give me new information and open me up to a part of myself that I had been unwilling to witness. Sure enough, it changed my Rising Sign…. the rest of the horoscope was pretty similar, but to we astrologers, that was a revelation. So I speak from experience, your birth time allows you to look into the mirror with clarity. If you’re born in the U.S. you can probably get your exact time of birth from the hospital you were born, if it’s convenient to you. Or contact the Department of Health/Bureau of Vital Statistics in your state capital (although a big city like NYC has its own). 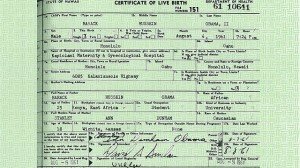 Be sure you get the long-form birth certificate.